The biggest surprise of Melissa Goates Jones’ life happened when she became a mother. “I found myself absolutely blown away by how much I loved being a mother,” she says on Aspiring Mormon Women. “I expected that I would have children because that’s what I ‘should do.’ I had no idea that being a mother would be something for which I felt a deep…longing.” As a career woman and a PhD, she says that this realization was “disorienting.” “Suddenly I was faced with feeling like my interest and passion was split between two important and exciting opportunities,” she says. Her traversal of that division has become, over the years, something she’s embraced. She teaches about women’s issues in their careers. She is also a new professor in our psychology department and a psychologist in private practice, where she helps many others seeking to find balance in their lives. 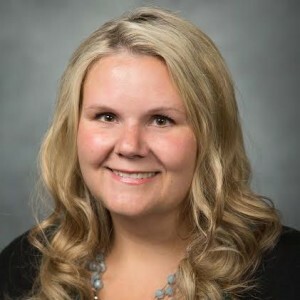 She also teaches several psychology classes, and next semester she will teach an integrative psychology practicum as well as clinical research in psychology. She received her PhD in Counseling Psychology from the University of Maryland after completing her undergraduate degree in from BYU. Professor Jones is from Canada, has been married to Marshall Jones for thirteen years, and has four children.